“Sir, how could I get the opportunity of running,” said the message. “I am Ang Chhutin Sherpa, winner of Everest Marathon-2014,” she went on. Surely if you win the Everest Marathon, you’re already running and doing pretty well, right? I am still not sure what Ang Chhutin was really asking, bear in mind also that Mira Rai didn’t know that such a sport as trail running existed before her first race (and within half a year had won four races,) but I promised to think about the question. Ang Chhutin (26) is from Thamo, not so far from Namche Bazaar in the Solukhumbu district, often called the Everest Region. This May (2014) she recorded the fastest time (5:08:05) on the current 42km course. Apparently she didn’t know about the concept of getting a fast time, and just thought the objective was to come first, just to finish in front of the girl behind – look back, “is she there?”, no, walk a bit – rather than to race the clock. What could she do if she raced the clock then? She did it with three friends from her home. She’d never really run before, and just became strong from life – farming, the general mountain household work, and managing the small Riverside tea-house in Marlung at 4200m up the valley below the Renjo La during the trekking season. 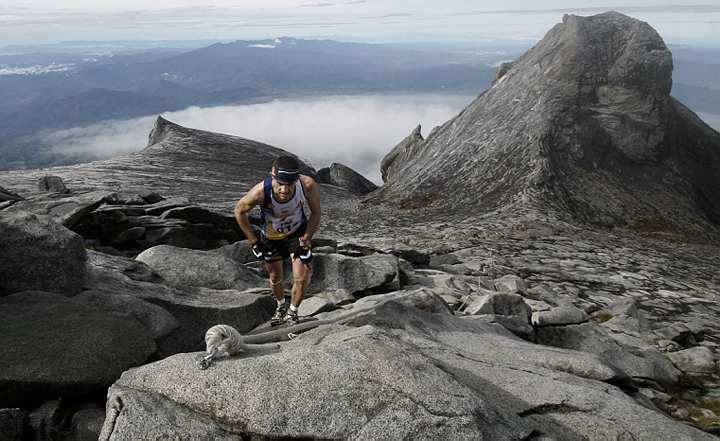 The Kinabalu Climbathon came to mind. It developed as a training exercise for Gurkha soldiers over 25 years ago. 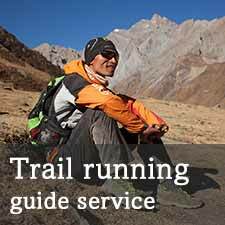 It requires endurance strength, good technique on very technical trails, and acclimatization helps! This wonderful video should explain everything. Look out for the legs of Sudip Kulung Rai who finished second to Kilian Jornet (and made the fastest ever descent). The race is as crazy as it is logical. From 1600m it rises up to 4095m. That’s a huge sustained climb. And the altitude! 4095m is pretty high and breathless, unless you’re Sherpa that is. Watch the video, it’s really nice. Thanks to the organisers for inviting Ang Chhutin to compete – the first Nepali girl ever to do so, she still can’t believe that she’s going there and is super excited! What goes up, must go down and the summit moment is followed by a huge and heavy, technical descent backdown to 1600m. There is nothing easy about this race. “Ang Chhutin is one of the strongest runners we’ve had in the race,” said Shikhar Pande, the race director of the famous Tenzing Hillary Everest Marathon (2014 photos here.) “I am sure she’ll do very well.” Shikhar has helped Ang Chhutin book flights and get the visa needed, and generally prepare, so good job Shikhar! “I will try to do my best,” says Ang Chhutin. We’ve got to pull together about $900 for the trip $710 flight and less than $200 for other food and accommodation, and we’re strongly trying to encourage Kathmandu residents to support her. But international donations from past Everest Marathon runners would also be welcomed. We’ve had about $650 of international support so far so $150 to $250 local would help. If we get extra, then it will go to the next runner we try to fund to race overseas. Thanks all and stay tuned for the 18th! This is the halfway point! I’m in Nepal helping in the post-earthquake relief. June 27th I joined the Sindhupalchowk International Race (29k) and enjoyed meeting some of the Nepal trail runners and seeing the beautiful countryside, though heartbreaking to run past all the decimated villages and homes. 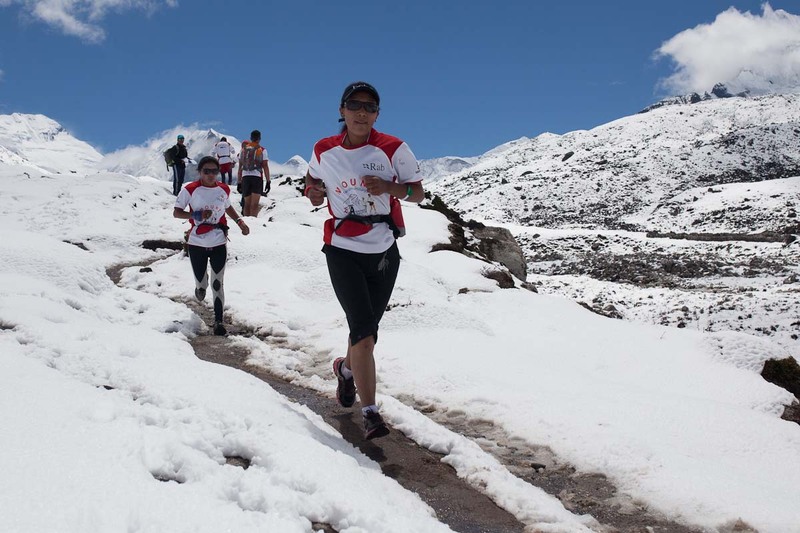 Clicking through this blog I find myself in the red shirt in photo 15 running along with Ang Chhutin Sherpa. I remember her well as we were pretty evenly paced the fist 2 and a half hours. We kept passing each other. My training partner, Debbie Chinn is beside Ang in this photo. We will have to do more to support Nepali runners in future Malaysian events. (I live in Penang, Malaysia). Thank you for your comment Eddy. Pleasure to have you run with us!